As part of our new and exclusive range of chairs, comes this Purple Colonial Chair. This beautiful purple chair features an extremely durable padded seat and backrest, 360 degrees rotation for functionality, adjustable height and comfortable seating position. 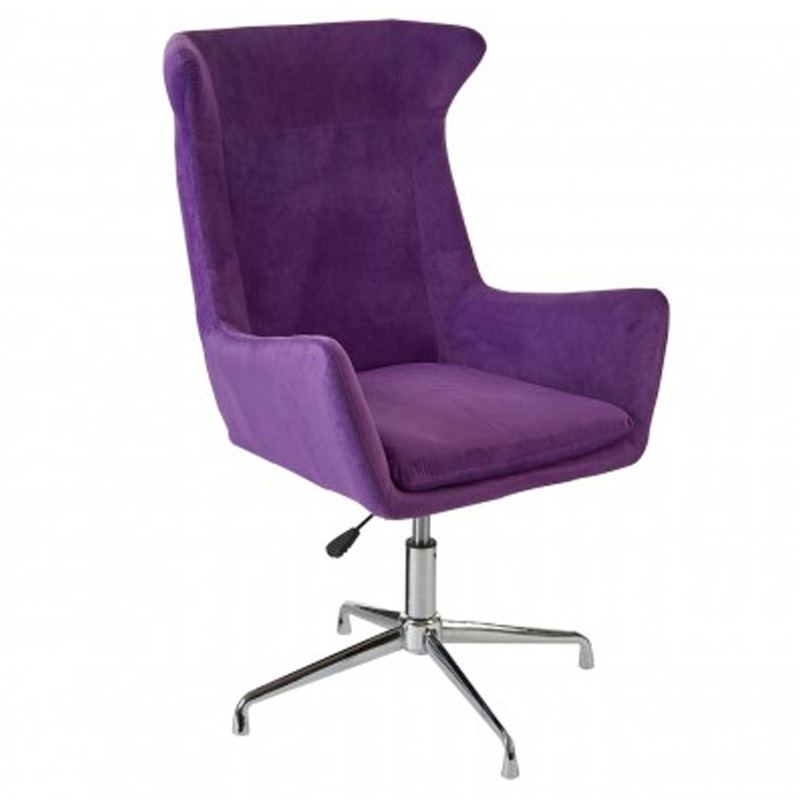 The whole seat is padded in a luxurious purple microfibre which covers the chrome base. This is the perfect way to add style and functionality into your home.